Helen Agnes (Telensky) Weingart, 94, of Torrington died Tuesday, May 3, 2011 at her home. She was the wife of the late Herman Albert Weingart. Born in Torrington, on Sept. 15, 1916, she was the daughter of the late John and Helen (Salius) Telensky. In 1922, the family moved to Litchfield. She attended Litchfield schools and was a graduate of Litchfield High School and Torrington Secretarial School. She worked for Hammord Insurance Company, The Connecticut State Labor Department, the Resident Inspector of Naval Materials, McAnn's and retired from the Office of Superintendent of Schools for Torrington Board of Education in 1981. 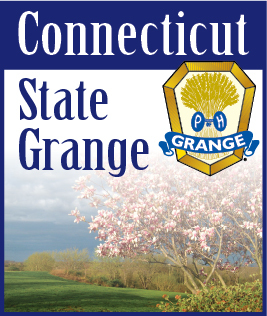 She was a golden sheaf member of Hope Grange #20 a member of Mountain County Pomona, State and National Granges and was a Blue Cross/Blue Shield Collector for twenty-five years. She volunteered at the Charlotte Hungerford Hospital Gift Shop for 15 years, and served as treasurer, assistant treasurer, and historian for the C.H. Hospital Auxiliary, and was a member of the Torrington Women's Club, the Saint Francis Women's Club, and Torrington Historical Society. She was a life member of Saint Francis of Assisi church. Helen is survived by two daughters, Lorraine Boylan and husband Parker and Marilyn DallaValle and husband Roger, four grandchildren, Scott and his wife Katherine DallaValle, Ronald DallaValle, Todd Boylan, and Marilee Boylan-Miller and husband Ryan Miller and two great grandsons, Christopher DallaValle and Ryan Lee DallaValle. A Memorial Mass will be held at Saint Francis Church, Torrington, Connecticut at 9 a.m. on Saturday, May 21. Interment at Saint Peter Cemetery Torrington, will be at the convenience of the family. Memorial Contributions can be made to Saint Francis of Assisi Church, 160 Main St., Torrington ,Connecticut, 06790 or to Charlotte Hungerford Hospital Auxiliary, 540 Litchfield St., Torrington ,Connecticut, 06790. www.phalenfuneral.com.